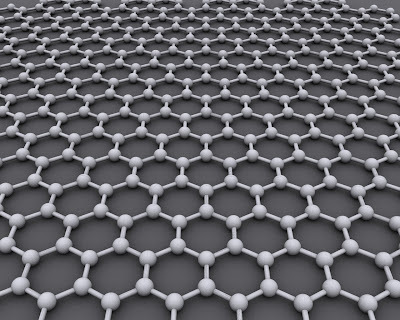 Graphene are one atom thick sheets of graphite. It is one of the thinnest and strongest material ever measured. It's structure when viewed on the atomic scale would resemble chicken wire. Graphene was discovered by Andre Geim and Konstantin Novoselov at the University of Manchester who shared the 2010 the Nobel Prize for Physics for the discovery. Graphene is one of the wonders of the science world, with the potential to create foldaway mobile phones, wallpaper-thin lighting panels and the next generation of aircraft. The new finding at the University of Manchester gives graphene's potential a most surprising dimension – graphene can also be used for distilling alcohol. In a report published in Science, a team led by Professor Sir Andre Geim shows that graphene-based membranes are impermeable to all gases and liquids (vacuum-tight). However, water evaporates through them as quickly as if the membranes were not there at all. This newly-found property can now be added to the already long list of superlatives describing graphene. It is the thinnest known material in the universe and the strongest ever measured. It conducts electricity and heat better than any other material. It is the stiffest one too and, at the same time, it is the most ductile. Demonstrating its remarkable properties won University of Manchester academics the Nobel Prize in Physics in 2010. Now the University of Manchester scientists have studied membranes from a chemical derivative of graphene called graphene oxide. Graphene oxide is the same graphene sheet but it is randomly covered with other molecules such as hydroxyl groups OH-. Graphene oxide sheets stack on top of each other and form a laminate. The researchers prepared such laminates that were hundreds times thinner than a human hair but remained strong, flexible and were easy to handle. When a metal container was sealed with such a film, even the most sensitive equipment was unable to detect air or any other gas, including helium, to leak through. It came as a complete surprise that, when the researchers tried the same with ordinary water, they found that it evaporates without noticing the graphene seal. 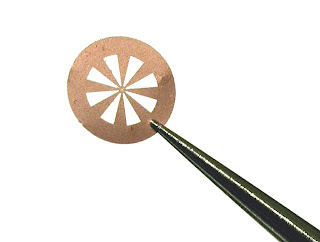 Water molecules diffused through the graphene-oxide membranes with such a great speed that the evaporation rate was the same independently whether the container was sealed or completely open. Dr Rahul Nair, who was leading the experimental work, offers the following explanation: "Graphene oxide sheets arrange in such a way that between them there is room for exactly one layer of water molecules. They arrange themselves in one molecule thick sheets of ice which slide along the graphene surface with practically no friction. "If another atom or molecule tries the same trick, it finds that graphene capillaries either shrink in low humidity or get clogged with water molecules." "Helium gas is hard to stop. It slowly leaks even through a millimetre -thick window glass but our ultra-thin films completely block it. At the same time, water evaporates through them unimpeded. Materials cannot behave any stranger," comments Professor Geim. "You cannot help wondering what else graphene has in store for us". "This unique property can be used in situations where one needs to remove water from a mixture or a container, while keeping in all the other ingredients", says Dr Irina Grigorieva who also participated in the research. "Just for a laugh, we sealed a bottle of vodka with our membranes and found that the distilled solution became stronger and stronger with time. Neither of us drinks vodka but it was great fun to do the experiment", adds Dr Nair. The Manchester researchers report this experiment in their Science paper, too, but they say they do not envisage use of graphene in distilleries, nor offer any immediate ideas for applications. However, Professor Geim adds 'The properties are so unusual that it is hard to imagine that they cannot find some use in the design of filtration, separation or barrier membranes and for selective removal of water'.